John Mahoney, a Chicago actor who became a household face, if not name, as grouchy Martin Crane on Frasier (1993-2004), has died. He was 77. According to THR, Mahoney's death on Sunday was confirmed by his publicist. No cause was given, but he was reportedly in hospice care. Born in England, Mahoney emigrated to the U.S. and was a Chicago-area medical-magazine editor (and former Western Illinois University prof) who quit his job in frustration and decided to pursue acting in his late thirties. He became associated with Chicago's famed Steppenwolf, receiving multiple Joseph Jefferson Award nominations. He later moved to NYC, where his first major success was in the Off-Broadway play Orphans, which earned him a Theatre World Award. 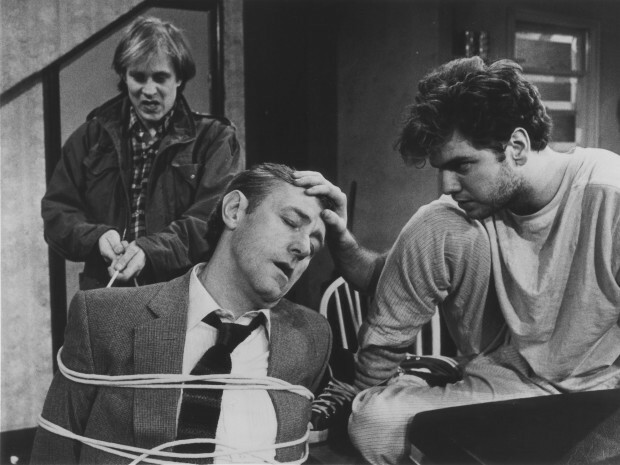 Mahoney later won the Tony for The House of Blue Leaves (1986), and also appeared in 2007's Prelude to a Kiss. For his work on Frasier, he was twice nominated for the Emmy, won a SAG Award and was nominated twice for the Golden Globe. He was only 15 years older than series star Kelsey Grammer (b. 1955), who played his elder son. Mahoney made his film debut in 1981, and worked in many features, including Tin Men (1987), Suspect (1987), Moonstruck (1987), Eight Men Out (1988), Barton Fink (1991), Reality Bites (1994) and The Broken Hearts Club: A Romantic Comedy (2000). He made many episodic-TV appearances, and also popped up in even more TV movies than features. No survivors were listed in any obituaries.